Every Friday until 6 p.m.
Every Friday night, Kids Garden becomes a Math Magicians and Lego® discovery center. 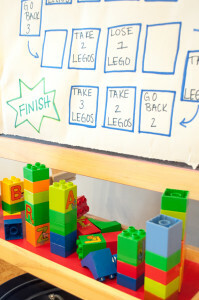 From 5-7:00 PM your kids will enjoy Lego® learning activities, crafts, and so much more! Drop off the kids to create while you get a much-needed break and unwind from your week. Lego® Fun Fridays are held weekly at normal hourly rates. Lego® Fun Fridays are held weekly at normal hourly rates. Drop off and pick up at the times that are convenient for you!